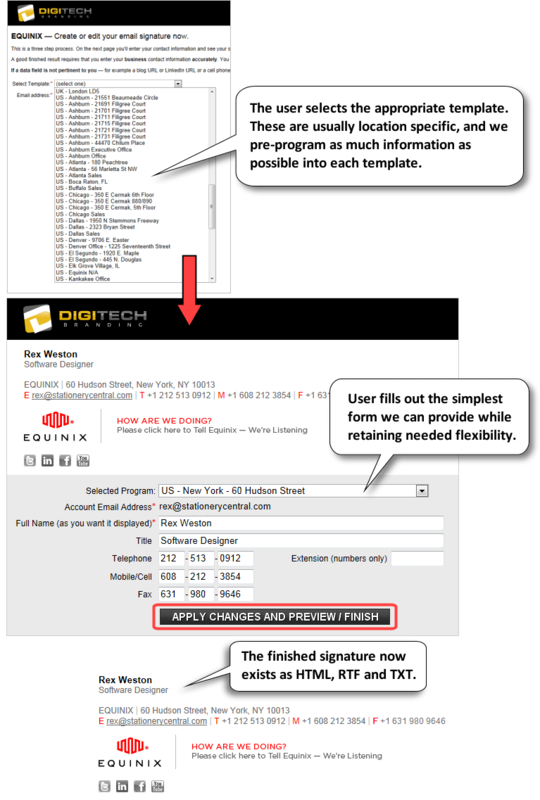 Users (or HR staff) know best what information is accurate and which signature template fits the user. Changes and additions are created directly, when needed, and with no waiting on IT staff intervention. The “ownership” of signatures is placed where it belongs. Inaccuracies and gaps in Active Directory are not revealed nor are they of any consequence. Back-end signature configuration flexibility gives users (and marketing / HR) what they want with minimal effort and maximum reliability. The result is no-hassle signature standardization which includes the necessary and expected level of personalization. Our signature management portal has been in use for years by a huge and diverse group of clients with stellar results. If you fill out a data entry form for yourself - name, title, address, email, phone number, etc. - it’s easy. If you’re asked to fill it out for someone else - spouse, sibling, coworker - it’s suddenly much harder. People know their own contact information! Asking them to type it in for the purposes of creating their email signature is not an excessive request - it’s a smart one. As soon as one data element is missing from AD, the efficiencies of synchronizing with Active Directory for signature data have largely evaporated - if you need manual input by the user for one thing, it’s not much more to ask them to manually type in the other data elements. Furthermore, once you’ve become willing to think beyond Active Directory, many restrictions as to what can be contained in your email signature are lifted. Our goal in establishing our service was to never have to say no to any email signature content request, and to date we’ve managed to achieve this. 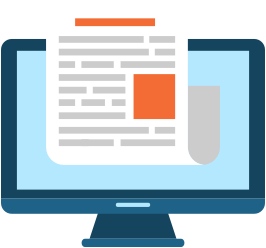 Provide us with a spreadsheet containing user data and we’ll upload it to create the large initial batch of signatures for all employees (saving the vast majority of the data enty requirements). Manually edit these signatures as needed, and add new-hires manually as they come on board. Keeping email signatures current and active is one of the largest hassles of any email signature program - our approach is efficient, intelligent, and keeps it simple!